Wine might be the last thing on your mind when you think about Ohio, but why not? With 265 wineries and five recognized American Viticultural Area, the Buckeye State is putting itself on the world wide wine map. If you’re ever looking to sip your way through Ohio, or just interested in learning more about its wine regions, here are some of the top Ohio wine facts worth noting. Make sure to also check out our Ohio Wine Travel Guide for more information to help plan your wine getaway to Ohio. The first grape varietals to be planted in Ohio were Catawba. Today, the popular wine varietals growing in Ohio include Riesling, Chardonnay, Cabernet Sauvignon, Cabernet Franc, Pinot Gris/Grigio and Pinot Noir. Ohio’s wine story began in the early 1800s when Nicholas Longworth, a pioneer in the commercial wine industry, planted Catawba grapes in Cincinnati above the Ohio River. Nicholas Longworth efforts proved to be fruitful and by 1859 Ohio was THE leading producer of wine. At this time, Ohio produced more wine than any other state in the country, and Cincinnati was the most important city in the national wine trade. Albeit, this was short lived given crop disease, the Civil War and then Prohibition. Today, the Buckeye State is home 265 wineries and five recognized American Viticultural Area (AVAs). Ohio is the sixth largest producer of wine in the United States and the ninth largest producer of grapes. The state produces a whopping 9.53 million gallons of wine. With five AVAs it’s not surprising to learn that Ohio is home to six wine trails. Each trail is located in different parts of the state making your next Ohio wine adventure an easy one no matter where you are. Ohio’s ice wines are gaining national and international attention. Some of the state’s vineyards have won numerous awards for “Best Ice Wine.” For instance, the 2015 San Francisco Chronicle Wine Competition, the largest competition of American wines in the world, named the Debonne Vineyards’ 2013 Vidal Ice Wine the best in the dessert category. The same wine was also named “Best Ice Wine” at the 2014 Finger Lakes International Wine Competition in New York. Today, Ohio’s wine industry brings in $1.3 billion annually. There are 8,067 full-time jobs devoted to the Ohio’s wine industry, which helps support the 1.37 million tourists who visit Ohio to to experience the state’s wine. 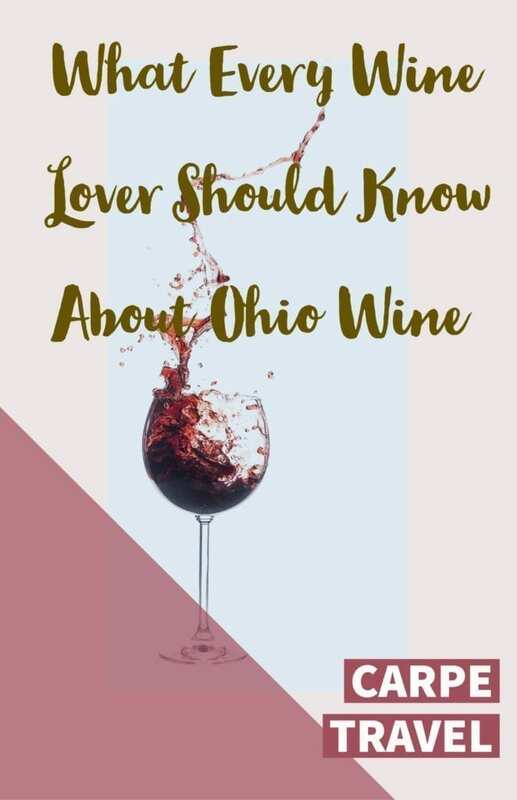 Did you learn anything new about Ohio wine? If you want to learn more about Ohio wines, make sure to also check out our Ohio Wine Travel Guide. Wow! I should try that. It looks like it has a good reputation.